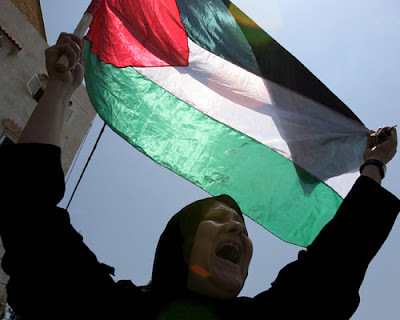 At the end of 2006, the Palestinian population worldwide was estimated to be over 10.1 million. 70% of them (nearly 7.5 million) were refugees and internally displaced persons. Six million Palestinians have been refugees since 1948, and approximately one million since 1967. Approximately 450,000 Palestinians are internally displaced persons in Israel and the OPT, while the legal status of some 400,000 additional Palestinians is unclear. The majority of the latter have likely been forcibly displaced from or within the occupied West Bank and Gaza Strip since 1967 as a result of Israeli policies. More than two thirds of the Palestinian refugees live in exile, in particular in Arab countries surrounding Palestine (Jordan, Syria and Lebanon), and approximately 20% of them live in UNRWA-serviced refugee camps. These data are released on World Refugee Day by BADIL Resource Center based on systematic review and analysis of available sources, including the Palestinian Central Bureau of Statistics (PCBS). Since 1948, no agency has comprehensively registered displaced Palestinians. However, data provided are considered the best estimates as indicative figures. As the largest and longest unresolved refugee case in the world approaches its 60th year, Badil calls upon all parties to the conflict to adopt a rights-based approach to the search for durable solutions. In particular, Badil calls upon Israel, the United States and the European Union to recognize the rights of Palestinian refugees and IDPs to return to their homes of origin, property restitution and compensation for losses and damages incurred. Since 1948, negotiations over the Palestinian refugee issue have failed to put international law at the center of the search for durable solutions. So-called “practical and realistic” solutions based on the unequal balance of power between the parties has instead been the chosen framework, leaving little space for respect for the rights of refugees and IDPs. Addressing and resolving the issue of Palestinian refugees and IDPs in accordance with international law is, however, central to building a just and lasting peace. The lack of a rights-based approach has left Palestinian refugees and IDPs particularly vulnerable to renewed displacement and has created a climate of impunity. In the occupied Palestinian territories (OPT) and Israel, displacement of Palestinians continues as a result of Israel's quest for control over a maximum amount of land with a minimum number of Palestinian people. The lack of effective protection leaves Palestinian refugees vulnerable to discrimination, persecution and renewed forced displacement also in their current host countries. In Iraq, for instance, many are stranded on border areas or live without access to protection. Thousands more have been displaced during Israel's war on Lebanon in the summer of 2006 and the current conflict in the Nahr el Bared camp. Despite ongoing displacement, no national and international response has been developed to prevent, protect from and respond to the forced displacement of Palestinians. Badil believes that international organizations, in particular the United Nations, need to urgently develop a response to the ongoing forced displacement of Palestinians in Israel and the occupied Palestinian territories. Israel's government and officials responsible for population transfers (ethnic cleansing) must be held accountable. 2006 Survey of Palestinian Refugees and Internally Displaced Persons, BADIL Resource Center, (forthcoming). Ehud Barak's characterization as "soldier-statesman" by Fouad Ajami clearly indicates an op-ed replete with worthless punditry. Barak, dressed up as a woman extrajudicially executed Palestinian statesman and poet Kamil Nasir in 1973.
and feel it rising again from the folds of the earth. Spare us Arab shills for Israel who would accommodate one very racist Jews preferred and privileged state. 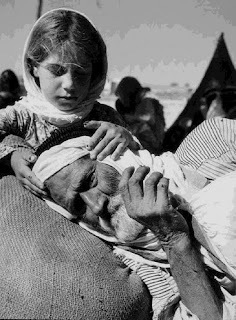 Instead honor the Universal Declaration of Human Rights and let the dispossessed Palestinian refugees, who true statesmen like Nasir championed, return to the land which is rightfully theirs. How About Universal Declaration of Human Rights First? Letter writer Annie Annab never loses sight of the forest for the trees. A cogent letter in response to a Washington Post op-ed and which could serve as response to many involved in the highly lucrative "peace process" and to the myriads of stories written about Israel-Palestine. How about 1948's Universal Declaration of Human Rights first- with the highest priority on fully honoring and respecting the Palestinian refugees inalienable legal, moral, ethical and natural right of return to original homes and lands... then figure out what is next. One State OR two OR even ten, the Palestinian refugees and all those pushed into exile and poverty by blatantly racist Israeli laws and walls and other such barbaric Zionist policies, must first go home with reparations and the ability to rebuild decent lives one by one by one. Let Palestine return step by step to be what it can with warmth and love and compassion and hope- and reparations- as the real people of the land come back home to empower peace with the rule of fair and just laws. 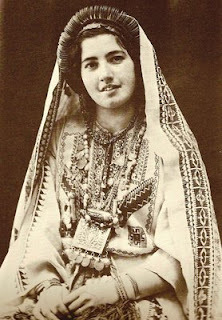 Ruth Raad wears the traditional costume of Ramallah in a picture from 1943, printed in Walid Khalidi's Before Their Diaspora. And on the left fighters of Fatah near Ramallah's Manara as shown in a New York Times picture from yesterday. Which Ramallah do you prefer? Many questions even after Mecca meeting remain … what has become of us? Our people have suffered for 59 years from displacement, homelessness, discrimination, impoverishment and expatriation, but they withstood that suffering and never killed each other; so what happened to us? The late Arafat rejected a plan to kill Abu Nidal, who had already killed a number of Palestinian leaders, and said, “If we start this series of killings, we will never stop.” So what happened? I have heard stories about new forms of cold-blooded and callous murder, and about Palestinians denigrating and holding as infidel other Palestinians or accusing them of heresy and bigotry as a prelude to ostracizing or murdering them. I have also heard numerous stories about children who have been horrified and traumatized and have fallen victims to nightmares, loss of appetite, insomnia and fear of street-walking. What is happening to us? How could things amount to assaulting homes, mosques and universities? Politics and political difference alone do not provide the answer. There are several additional social and psychological factors for what is befalling this society. A safe and stable environment is one that produces normal children, while the environment we have been living in since the occupation is one in which violence proliferates and becomes rampant. After the 1967 Israeli occupation, a legitimate national armed resistance movement emerged involving multitudes of freedom fighters. 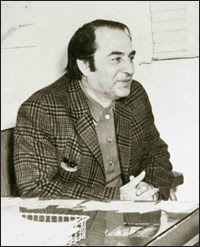 I can recall that, while I was working at Al-Shifa hospital in the early seventies, we received several murdered and injured freedom fighters every day. Reacting to that resistance and in order to contain and destroy it, Israeli forces arrested tens of thousands of Palestinians and subjected them to systematic and various forms of torture as documented by research teams of both Palestinian and Israeli institutions acting in the area of defending human rights. The effects of torture extend from the individual to his community. Research has found that a high percentage of torture victims become prey of mental illness which transform victims into problems for their own selves as well as for their own families. The commonest problem arising from torture is the violence which the victim directs to women and children, which in its turn makes the home a battlefield. The reason for such phenomenon is that the torture a young man is subjected to makes him harbor a desire for revenge by violent means and subsequently he unconsciously resorts to identify with the Israeli torturer. This conclusion is supported by the fact that the methods of torture used in Palestinian prisons are the same as those used in Israeli prisons; they have at times even been more atrocious and resulted in deaths among several prisoners in the early years of the PNA takeover. Indeed, in many instances, the Palestinian investigator was an ex-victim of Israeli torture. This phenomenon has created a cycle of internal violence. We note here that many Hams members were tortured in Palestinian prisons. Feelings of immense hatred and desire for revenge started to build up and heighten culminating in accusations of infidelity leveled at leaders of security organs. All of these factors led to a state of polarization and division which has aggravated by Hamas coming to power. Now it seemed that some were willing to retaliate and take revenge from those who tortured them, a desire which was intensified by the fact that Hamas government was besieged and there spread a feeling that it was targeted and conspired against and that some Fatah leaders were accomplices in such conspiracy. Despite the glorification we attribute to the “children of the stone” whom we hold as examples of heroism, we cannot ignore the fact that they are flesh and blood and that they have been victims of various forms of violence. In our work at the Gaza Community Mental Health Program we conducted a research on three thousand Gaza children. The study has found that those children were subjected to several traumatic and violent experiences including beating, bone-breaking, injury, tear gas and acts of killing and injury, all of which experiences have left indelible effects on their psych. Yet, to many, the most excruciating experience was seeing their fathers beaten helpless by Israeli soldiers without resistance. Such an experience will ultimately transform a whole generation into something different as the second intifada showed; for the children of the first intifada are themselves the men of the second intifada. 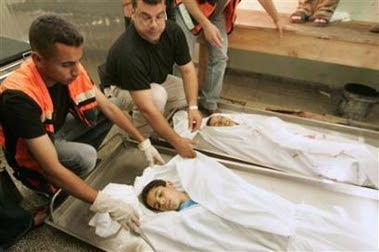 Those young men who are pursuing revenge and killing and are at times seeking even their own death are the selfsame children who cherished so many dreams of a better life but saw them fade away and fall apart the moment they saw their fathers fall helpless and defenseless victims of arrogant force incarnated in the Israeli soldier. No wonder then that the Palestinian child will see his model in that Israeli soldier and that his language will be the language of force and his toys and games will be the toys and games of death. Israel systematically assaulted the Palestinian people in all aspects of their lives and it even escalated its aggressions during the second intifada as it resorted to a policy of house demolition; infrastructure, farm and facilities destruction; extrajudicial killing and mass detention of activists and systematic torture. Psychological research worldwide has shown that ongoing armed conflicts result in what is known as chronic social toxication which makes people and children less sensitive and more ruthless, less rational and more impulsive, less conversant and more violent. More significantly, new groups are formed of individuals who are alien to the family system and to the social fabric and who are powerful and violent enough to be capable of heinous killing. Ultimately, those individuals are viewed as untouchable masters and examples to be followed by the disadvantaged and vulnerable. The outcome of this is that brute force, not morality, emerge is the example to be followed. Another effect of such social toxication is the phenomenon of social disintegration and disunity which is manifest in the decline of the father’s authority with all the moral values it embodies; and in the young men’s tendency to search for a new identity which they seek to be assertive and different from that of their vulnerable and downtrodden parents. There emerged the new form of identity provided by Islamic organizations and armed militias which in many cases supplanted national and filial belonging and rendered many persons alienated from their community. The PNA performance has had a tremendous psychological impact on the Palestinians. Throughout its term of office, the PNA regime has been characterized by absence of law and justice, violation of human and individual rights, contravention against public lands, disrespect for reason, disregard of accountability and penalty amounting to rewarding of offenders, spread of favoritism and nepotism which created heightened feelings of bitterness, exasperation and hatred among the disadvantaged and destitute. All of these factors made the Palestinian citizen feel that only force in its different forms is the only resort. The PNA added insult to injury as its security organs penetrated families. This reciprocally allowed families to penetrate security organs which became controlled by Fatah leaders as well as by heads of a large Gaza family. This resulted in gross security violations and social disorder, and culminated in numerous instances of law-breaking and aggressions against public and individual rights and property. In all circumstances, aggressors were backed either by their faction, family or a security organ and sometimes by all of them, which made power concentrated in the hands of influential individuals in the large authority apparatus. This eventually resulted in more disunity and division among those same families, and new armed and rival groups emerged by virtue of the official authority support; only to turn against that authority one day and dauntlessly assault some of its major symbols. 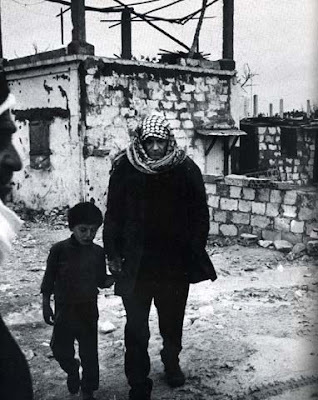 In this regard, it is noticeable that the Palestinian people’s performance in the first intifada was characterized by an overwhelming sense of solidarity, resilience and commitment to moral values, all of which seemed to be nonexistent in the second intifada which has been dominated by chaos, disintegration and division. Some observers attribute such change to the presence of the PNA and to its inability to assume a leading role, as well as to its acting as a barrier between the resistance and occupation. Its corruption and weakness made it easy for both parties to beat it. 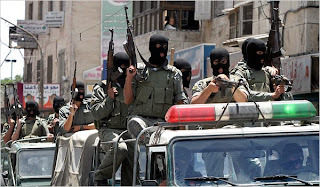 The actual non-presence of a common enemy in Gaza diverted the furious and enraged feelings of revenge from their natural path and redirected them into the Palestinian community among individuals, families and the factions contending for power and their militias. Under deteriorating social, economic, political and psychological conditions, it is only natural, as we have already warned that violence will prevail in the Palestinian society and among its individuals and groups. This situation further worsened with the proliferation of arms and plentitude of funds in the hands of contending parties and militias. Those factors on their own, however, cannot account for those bizarre acts of revenge, torture and killing committed in the recent clashes between Fatah and Hamas and which reflect inveterate grudge and hatred. Therefore, there is need to consider the other reasons. The systematized repression and torture that the Palestinian people was subjected to under the Israeli occupation, the poor performance of the PNA as embodied in the absence of law and justice and maladministration all led the youth to seek and cling to a new identity which is different from that of their helpless parents and which holds that naked force is the only means to avenge themselves over the suppression they have long been subjected to. The formation of those political, partisan and religious identities and the view that ultimate force is the model of heroism are the major cause of the status quo of Palestinian armed conflict which finds its fuel in many causes such as division, hatred, and vindictiveness of a generation that rebels against the declining family system and the chaotic PNA. 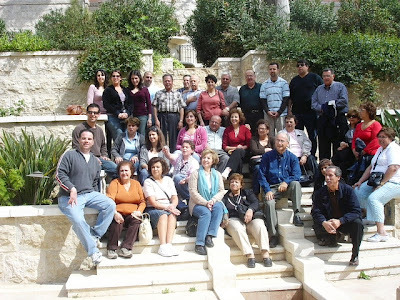 Some of my cousins returned to Ramallah for a visit this past Easter. Most were born there and are now US citizens, and some are the children of Ramallah immigrants. Such a basic right, to return to one's home for a visit or even to live, if one has been dispossessed to make way for immigrants from all over the world. I plan to visit my mother in California this summer, specifically in the Central California town where I grew up. I take for granted going there every other summer. Many Palestinians, however, are denied the basic right to return home, however, even though they live within a few kilometers of their villages and towns. This is so that Israel may maintain a Jewish majority in the land it stole from the Palestinians. Those of us who advocate for the implementation of Article 13, Section 2, of the Universal Declaration of Human Rights: "Everyone may leave his country and return to his country" are marginalized by Zionists and those who would make peace with those who refuse to implement international law. I'm holding up to what I know objectively to be a humanist argument. about hate. It's like you press a button and hate comes out of it like a volcano. Assad Abdul Rahman notes that waiting for return "is part of the very nature of what it means to be Palestinian. "We are not waiting for Godot. Return to Palestine is legal, it is practical, it is a sacred duty. It is something that will happen--one day." Michael Oren [Remaking the World in Six Days, June 3] is an unabashed apologist for Israel in the guise of historian. What's appalling is to see his discredited propaganda published for clueless Americans in the Los Angeles Times. Existential threat? Not according to then Israeli Chief of Operations Ezar Weizmann, who stated that Syria and Egypt never posed a threat. Not according to General Chaim Herzog who said "There was no danger of annihilation." Not according to General Mordichai Hod, Commanding General of the Israeli Air Force who said, "Sixteen years' planning had gone into those initial eighty minutes." Not according to Menachem Begin who stated [re Nasser], "We must be honest with ourselves. We decided to attack him." Seventy-five percent of the Palestinians were driven off their land in 1948, and Israel continues to illegally settle and confiscate their land to this day. For Palestinians, the "existential threat" is reality. Update: From Palestine Center Human Rights, Gaza e-mail: Since the beginning of this latest IOF offensive on the Gaza Strip, 55 Palestinians, including 23 civilians, have been killed and dozens of others, mostly civilians, have been wounded. PCHR is deeply concerned over the policy of retaliation practiced against Palestinian civilians, which threatens their lives, especially as IOF have continued to attack targets in civilian populated areas. 2) Ahmed Sabri Aba Zbaida, 14, both from Jabalya refugee camp. In order to provide for the "security" of Jewish immigrants from all over the world, Israeli soldiers shot to death two Palestinian twelve year olds, Ahmad Abu Zubeida and Zaher Al-Majdalawi, who were most likely scavenging for scraps on the former Israeli colony of Dugit in the Gaza Strip. Palestinians will continue to die in the dark, however, as long as US politicians whorishly invoke the usual mantras, presidential candidate Barack Obama no exception, stating in Foreign Affairs Journal, "Our starting point must always be a clear and strong commitment to the security of Israel, our strongest ally in the region and its only established democracy." The New York Times reports the deaths of the boys in the eighth paragraph in a story about Alan Johnston, the BBC reporter being held in the Gaza Strip. The usual Israeli military bs is reported. The twelve year olds were "walking in an operational mode," according to Avital Leibovitch, Army spokeswoman.